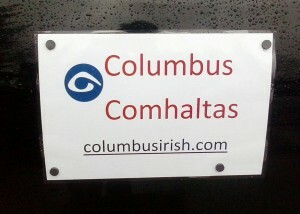 The Central Ohio branch of Comhaltas Ceoltóirí Éireann, celebrating Irish music, language, and culture. 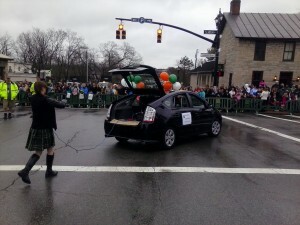 Sarah Perry represented the branch by performing jigs and reels as she danced along in the annual parade. 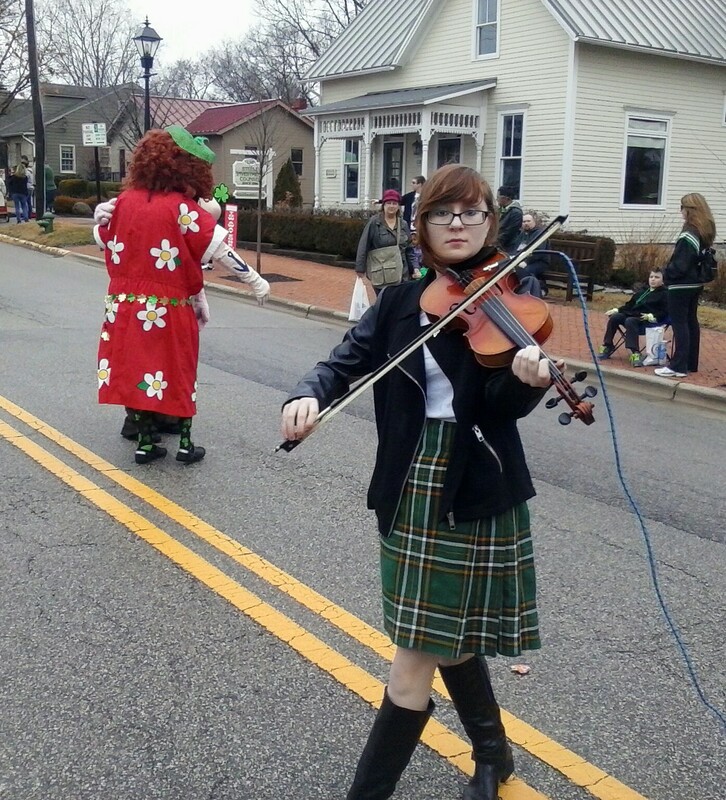 The crowds were entertained, as were Max and Erma (from the local restaurant chain) who kicked up their heels as they followed her in the parade line up. Candy and Comhaltas flyers were passed out to parade-goers as she passed. Put it on your calendars! The Midwest Fleadh 2015 will be the weekend of May 15 and 16, held this year in Cincinnati, Ohio. As the closest branch to our host Cincinnati, we’d like to offer as much support as possible towards the success of this great weekend and will encourage as many as possible from Columbus to attend their first Midwest Fleadh! Please join us for our year-end all-branch meeting with session to follow! Sunday, December 14, 2014, 3:00 p.m.
We have much to discuss including the new branch website, and this will mark the birth of Columbus Comhaltas–Grupa Ceoil, an outstanding performance opportunity for branch members (for more information, please attend the meeting!). Refreshments and snacks provided…hope to see all of you there! Our site is under construction but starting to take shape. Please check back soon as we are adding news and features constantly!